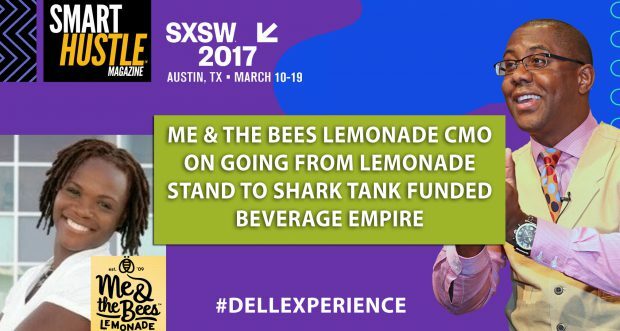 Ramon Ray, a self-proclaimed lover of lemonade and small business evangelist, recently spoke with Me & The Bees Lemonade CMO, D’Andra Ulmer, during SXSW 2017 at the Dell Experience. Me & The Bees Lemonade is an Austin, Texas-based sustainable lemonade company, founded by D’Andra’s daughter, Mikaila. Most amazingly, Mikaila was only four years old when the idea to start her company struck – with the admirable goal of making great-tasting lemonade while helping save the dwindling honeybee population. “You cannot make this kind of story up,” laughed Mikaila’s mom and company CMO, D’Andra. “With Austin being the land of entrepreneurship there was a local kindergarten business fair, and Mikaila signed up even though she was only four at the time. Earlier that week she happened to have been stung by a couple of bees and learned that they die when they sting and about the dwindling bee population. Right there, she decided she had to help." Armed with a cookbook from her grandmother, Mikaila refined a flax-based family lemonade recipe and started her company to raise awareness for the plight of the honeybees. From her kindergarten business fair, Mikaila soon landed on Shark Tank. Not surprising, she charmed and impressed the Sharks, landing a $60,000 investment and mentorship support from Fubu CEO Daymond John. A significant purchase order from health food giant Whole Foods soon followed. The buzz and fledgling Me & The Bees Lemonade only grew from there. In the Ulmer family’s case, their strong faith supports a strong family. From there, their business thrives. Building a business is a team effort that needs a strong base with everyone working together positively. That becomes even more important when it is family-run. D’Andra and her husband ensure their kids are grateful for everything they receive. An attitude of gratitude avoids taking positive things for granted and helps put minor setbacks in proper perspective. Children are naturally curious. When they come to you as a parent with an idea, a problem or a solution –- foster that and encourage them. Make it fun and encourage their creativity.